In this SUPboarder review we look at a kids SUP. The Hatha Nino is an 8′ iSUP that is specifically designed for the small people. 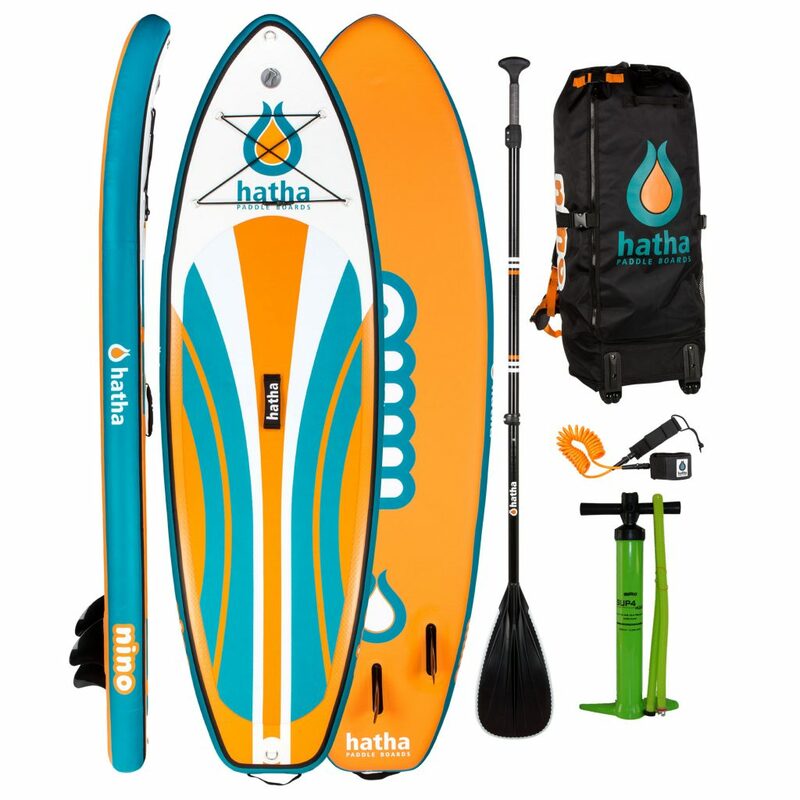 From the UK based brand Hatha, this SUP package is very well made and at a very good price. A great SUP package to get the next generation SUPing. A perfect size & shape board for getting smaller kids into SUP with a smile! Sign up to Pro to access an extended video. Note: Products are rated/compared to other similar (style/construction) products on the market. What do you think about the Hatha Nino 8′ x 28″? The Hatha NINO is our newest edition to our ever popular inflatable range. The Nino has been specifically designed to suit children and the smaller rider. It has all the usual features that you have come to know and love in our boards. It is made from premium Military grade PVC -making it extremely durable and robust without compromising strength and stability. It has numerous padded grab handles, a stainless steel D ring at the rear to attach a leash and another D-ring at the front for mooring up or to attach an anchor!! It had a premium crocodile skin deck pad for complete traction, control and comfort. Heavy Duty Construction – This is our ultimate construction when heavy duty use is required. The double layered military graded PVC has been used to construct this unstoppable paddle board. Durability, stiffness and performance is guaranteed, this board has been built to last!